Lubricant for Suction Cup Mount. 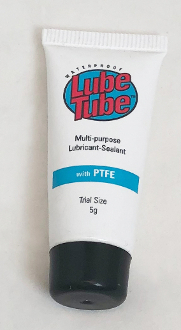 If you own a set or a single suction cup mount, this lube can help keep the pump operating at maximum vacuum. Easy to install, remove plunger with a slight pull, add sealant to black rubber plunger and reinsert plunger into housing with a firm press.